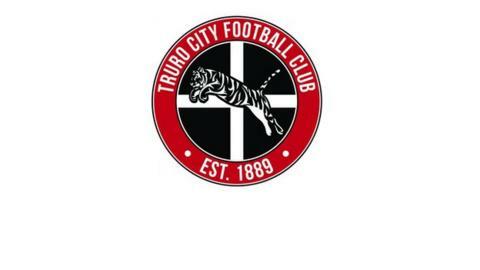 Truro City boss Steve Tully says striker Cody Cooke has the potential to go far in the game. Cooke scored twice in the 3-0 win over Burnham in the last game of the season. "If he keeps scoring goals he won't be at Truro for much longer because bigger and better clubs will come in for him," Tully told BBC Radio Cornwall. "I've said to him 'you score goals, and you be a handful in every game, and your career will go up and up and we'll help you on the way'." The result saw City secure 17th place in the Southern Premier League. And Tully says the club has to tap into the potential within Cornwall to continue their success. "There's a lot of Cornish talent about and everybody knows Truro is a big club," he added. "People have got to tap into that, and if we can get some little gems into the football club that not only do well for us, but go on and make the club money, then that's what you've got to do."